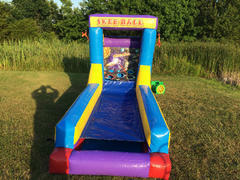 An inflatable version of an all time favorite arcade game! Roll the balls down the lane and aim for the targets with the most points! Play for accuracy, for the highest score, or just for the fun of it.